Olympiastadion Berlin, recognised by UEFA with the Elite 5 Star stadium award, sets standards on the national and international stadium scene. It is a unique symbiosis of a multifunctional event location and historical monument. As an internationally famous stadium it is the venue for regular world-class top sporting and cultural events. It is a tourist attraction for guests from Germany and abroad. We, the Olympiastadion Berlin GmbH employees, run this stadium with commitment, passion, enthusiasm and emotion. Our principles are the important foundation for our corporate activities. They communicate our strengths and self-image, are our motivation, provide guidance and are the framework for interacting with each other respectfully and fairly, both internally and with our business partners. As a place packed with emotions, we contribute to collectively experienced excitement, fairness and intercultural, international understanding. We are a reliable, professional and efficient partner to our business partners, service providers, customers and guests. Maximum customer satisfaction and long-term partnerships are extremely important to us. We treat our colleagues, guests, customers, partners and service providers impartially, courteously, helpfully, fairly, tolerantly and respectfully. 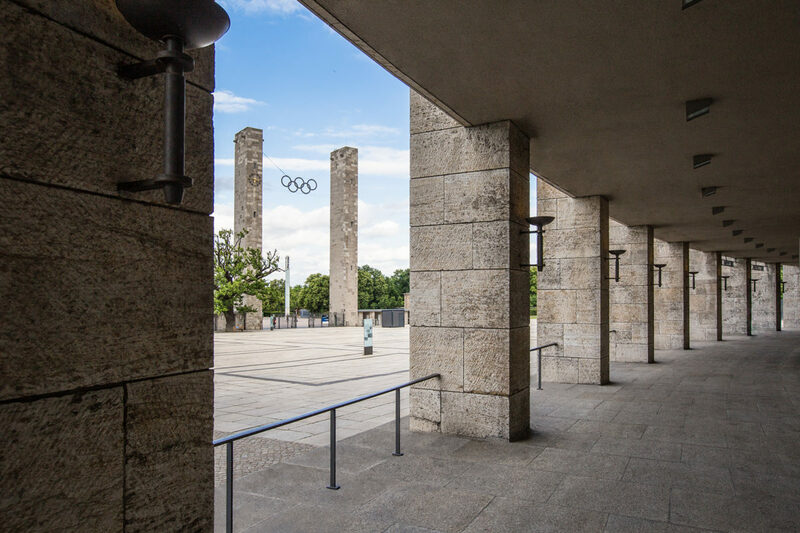 The sporting, cultural and architectural history of Olympiastadion Berlin is extremely important to us. We have a sense of duty to society and make an important contribution to education and integration. It is very important to us to support, develop and promote our employees. We give them plenty of scope to have ideas and take on responsibility and strive to achieve first-class work and results. Our working atmosphere is characterised by enthusiasm, passion, best practice and mutual cooperation. Our employees are the foundation for success at Olympiastadion Berlin. We face the challenges of the future and stand for progress and innovation. 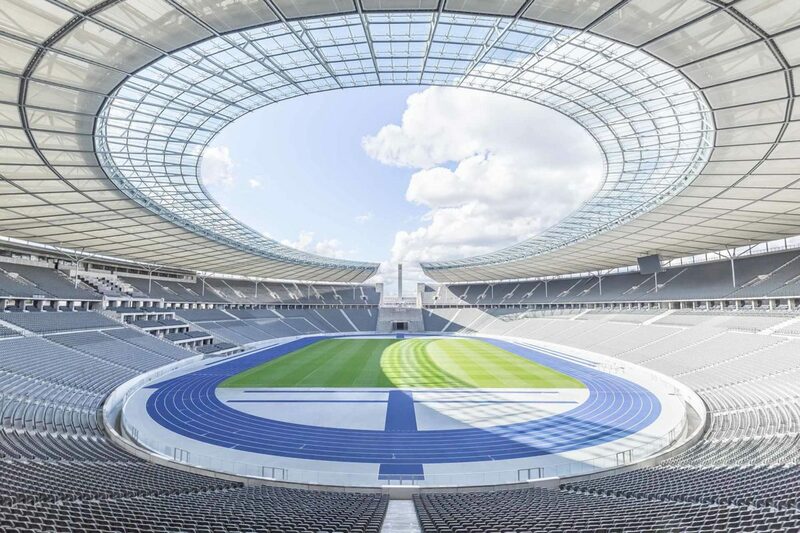 Olympiastadion Berlin GmbH has set itself the goal of firmly anchoring sustainability within the company. Sustainability should equally be the principle for our ecological, economic and social responsibility in business practice. 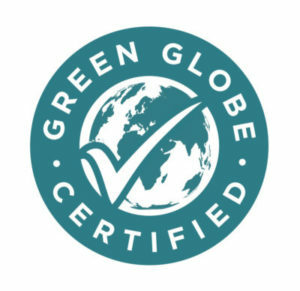 Our everyday work pursues the goals of conducting business in an ecologically, economically and socially sustainable way and using our resources responsibly, sustainably and sparingly. It goes without saying that we comply with current legislation. Our compliance policy provides us with an additional framework to conduct business responsibly. At the same time, we always place importance on transparent internal and external communication. We use environmentally-friendly technologies and measures that conserve resources. We optimise the consumption of all resources at Olympiastadion Berlin and are committed to regularly identifying more potential for savings and therefore protecting the environment. We provide our employees, customers and service providers with guidelines and recommendations to also contribute to improving the ecological footprint and conservation of resources. We conduct business using a long-term, flexible, trustworthy, responsible, collaborative approach and always strive to further develop and expand our business. Our resource-saving practice contributes significantly to us achieving and improving on our economic targets. Fair play goes without saying for us. We contribute to education and integration with our business and offers. With invitations to tender for products and services we are committed to statutory social standards for the manufacturing of products and provision of services. We urge our partners to also implement our principles at their own company. Our employees are supported and encouraged by us as a family-friendly employer. Cooperative and collaborative conduct goes without saying for us. We want to communicate our business practice policies, values and goals with our principles. Our claim is to follow our principles in our everyday work. Our principles should be clear for our business partners and employees to see, become practice implemented by everyone and therefore contribute to the achievement of both personal and common sustainability goals. As a state-owned company and in its role as a beacon of excellence in the national and international events industry, Olympiastadion Berlin GmbH is committed to implementing sustainability, consciously applying it and consistently developing it further in all business areas. Olympiastadion Berlin was awarded 1st place in the Energy Management / Resource Conservation category for the Meeting Experts Green Award by GCB German Convention Bureau e.V. and Europäischer Verband der Veranstaltungs-Centren e.V. (EVVC) in 2015. Olympiastadion Berlin has therefore been commended for its effective and efficient energy management. The following sustainability plan has been put together to analyse all the other areas with regard to their sustainability. The sustainability management plan documents the action already taken and formulates the individual targets. The evaluation and monitoring of objectives are just as important. 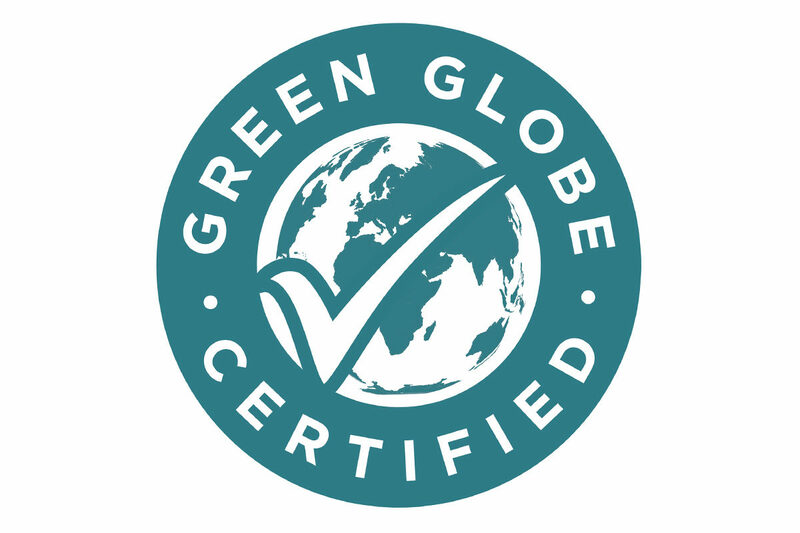 The “Green Globe” standards were also introduced as an additional tool as part of the 2017 / 2018 certification. Another significant component is to prepare an annual sustainability report on the basis of the German Sustainability Code (DNK), which communicates the sustainability management plan internally and externally. Electricity, water, heat, paper, etc. The refinancing potential of ecological projects is accurately determined. The projects must pay off within 3-5 years. The installation of a computer-based lighting control system, with sophisticated operation and which provides a visualisation of the illumination circuits, enables the switching on and off of individual light sources. In addition, motion detectors have been installed for the switching on and off of lights in highly-frequented areas. The transformer voltage has been reduced through the new installation of an additional busbar for the power supply in the roof. 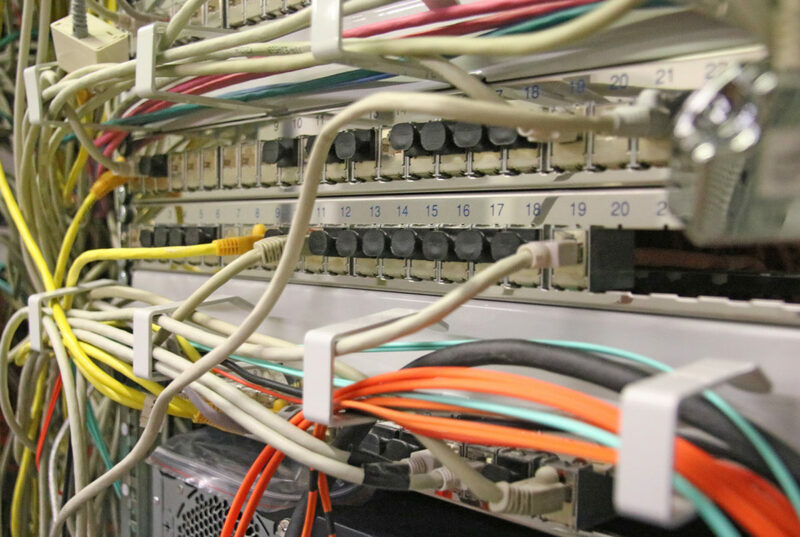 The reprogramming of the used transformer air & the controlling of the ventilation system via additional temperature sensors is leading to lower operating times. The LED walls & UPS systems are also now only switched on as needed thanks to some technical adjustments. Light switching in the roof has been reprogrammed so that those devices which consume power in standby are switched off when in idle mode. 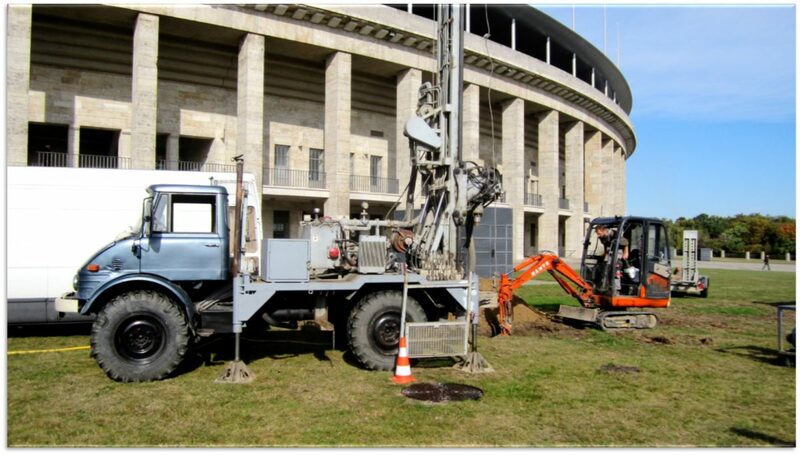 Olympiastadion Berlin commissioned an absorption chiller in a joint project with the Technische Universität Berlin. District heat is used for refrigeration in the pilot plant and then to cool the server rooms at Olympiastadion Berlin. In contrast to compression refrigeration units, which need electricity for cooling, the absorption chiller transforms district heat into cooling. The primary energy source of district heat can be procured cheaper than electricity and also protects the environment. Thanks to this process, Olympiastadion Berlin increases its energy efficiency and can significantly reduce its operating costs. All green areas of the stadium will be watered with rainwater thanks to the use of a rainwater tank and the new construction of a well. In doing so, water will be collected from the roof, and then fed into a tank to be stored. The tank has a storage capacity of 1,700,000 litres. Additionally, the flushing durations of all urinals/taps in the stadium will be reduced to a minimum. What’s more, waterless urinals will be retrofitted in the often-used public areas. 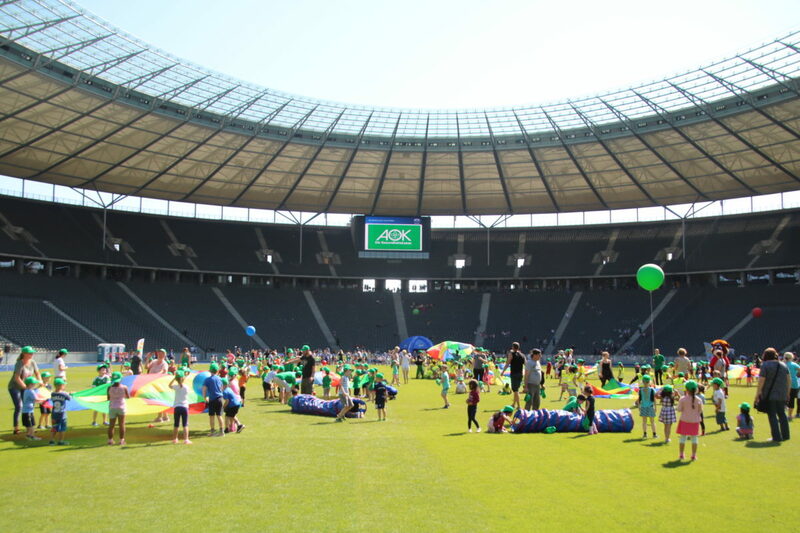 In accordance with a movement therapy concept, children who attend daycare centres in Berlin undergo six different movement stations, including a Hertha BSC football station and a gymnastics station from the Berliner Turner Bund. These are aimed at conveying the joy of sport as well as Olympic values such as fairness and respect. In doing so, stress and pressure to perform are not an issue: all participants receive a gold medal and are accompanied throughout the day by the mascots from the professional clubs of the sports metropolis Berlin (Herthinho, Ritter Keule, Fuchsi & Co). Lernort Stadion [Learning in Stadiums] e.V. Since 2010, the Fanprojekt Lernzentrum @ Hertha BSC [Fan Project: Learning Centre] has been combining a fascination for football with political education. At its historic location—the Olympiastadion Berlin—the Fanprojekt Lernzentrum offers youngsters and young adults an exceptional place for learning and new experiences, with diverse educational programmes on the subject of football. The programme has three pillars: getting to know the club and the stadium, sport and movement, and a selected main focus on a topic from political education. 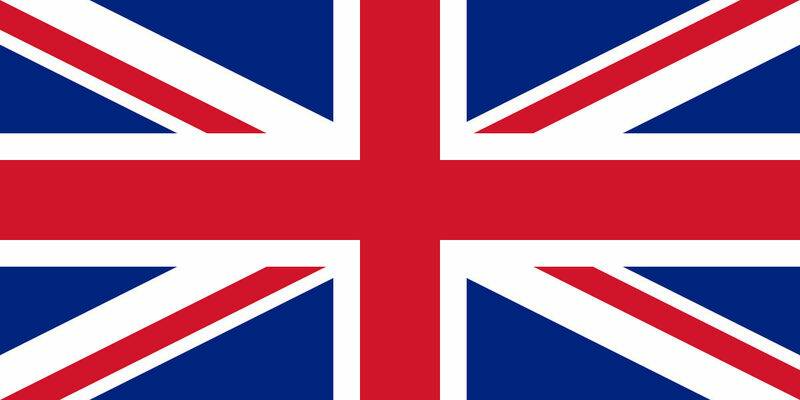 Project weeks on issues such as football culture, violence, discrimination, career choice or migration are offered. In May 2018, the Olympiastadion Berlin GmbH was included in the BIK | Berliner Informationsstelle Klimaschutz [Berlin Climate Protection Information Office] as a climate protector. The BIK database provides an overview of the diverse measures being undertaken in Berlin to protect the climate and environment. Together with strong partners and many stakeholders in the city, the BIK dedicates itself to climate protection which is “Made in Berlin”. 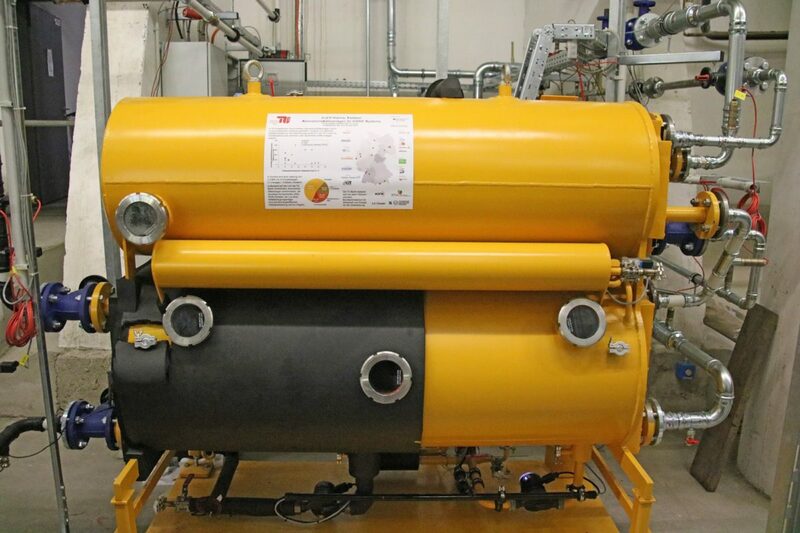 The BIK was set up by the Berliner Energieagentur [Berlin Energy Agency]. It dates back to an initiative from the Senate Department for the Environment, Transport and Climate Protection in Berlin and is funded by the companies GASAG and Vattenfall. The Olympiastadion Berlin is the first stadium in the world to have received Green Globe certification. 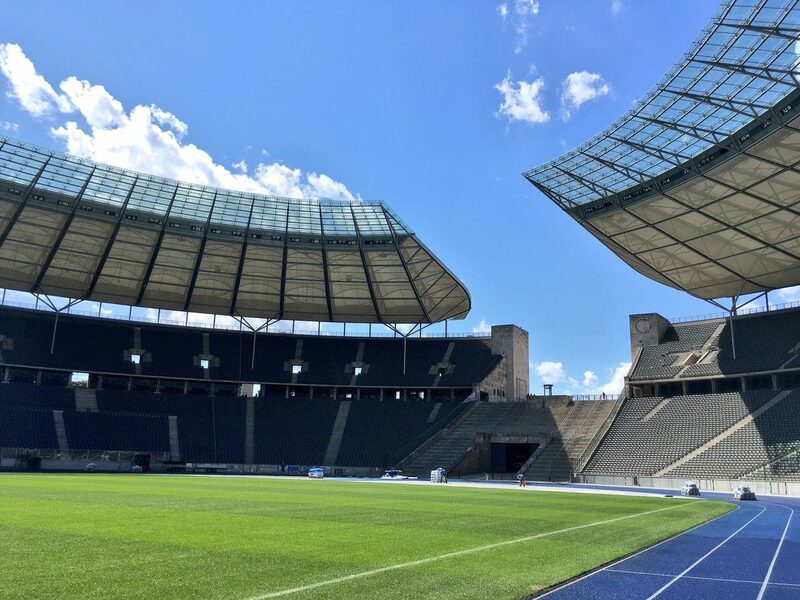 This honour is testament to our dedication in the field of sustainability and, additionally, an indication that the Olympiastadion Berlin GmbH is pursuing a successful sustainability strategy. According to Timo Rohwedder, CEO of Olympiastadion Berlin GmbH, the greatest challenge last year was in implementing the sustainability plan and Green Globe guidelines into the service-level agreements, tenders and the company policy. According to Rohwedder, working with Green Globe has taught him that changes need to be recognised as far as entitled thinking is concerned. It is in changing our thinking that our own demands have been raised as regards sustainability, and it is for this reason that we find ourselves in a very good position for the future. Read more on this topic here.